Bridal bouquet is one of the most important attributes, during any wedding ceremony. Every bouquet should be specially made for each bride, and radiate emotions of happiness and joy. It will be insulting to buy it on the market, or in a usual flower shop. It has to be made by a professional florist, as the bridal bouquet should look like a diamond in her hands. 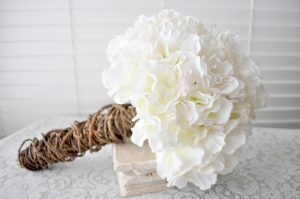 What Does Bridal Bouquet Mean? What exactly bridal bouquet is, and why fragile and gentle girl has to carry it the whole day? 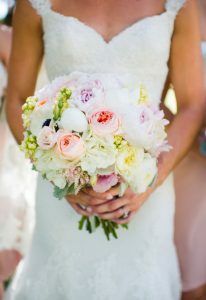 The answer is simple: bridal bouquet is one of the most important jewel of the wedding, and a very significant thing. Usually, bridal bouquets are made from flowers which majority of female love. It comes as fresh and fragrant addition to the bridal dress, and gives the image of the romance rapprochement with the nature. Wedding bridal bouquet takes the central place on the bride’s image. Rightly made bridal bouquet always emphasize the tenderness and beauty of the bride. 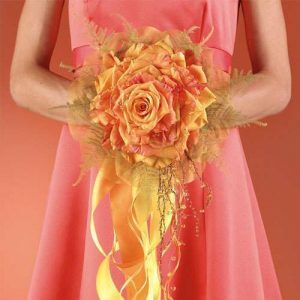 Nowadays, bridal bouquets are so different, colorful, and can be made according to bride’s preferences. 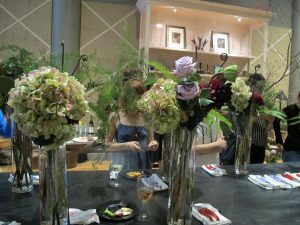 While preparing, and designing bridal bouquet, it is very important to take into consideration color, and the size of it. Ways to decorate your Wedding venue with Flowers! 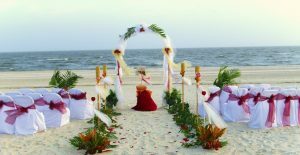 As we love bunting and pom pom, similarly, flowers are best way to decorate wedding site. Flowers have the ability to instantaneously change the feel of the venue, they can be used as table décor, centerpieces, flower arch, floral back drops, aisle décor, pew ends and vintage cake decoration etc. Take a look at these breathtaking and glamorous creative ideas. 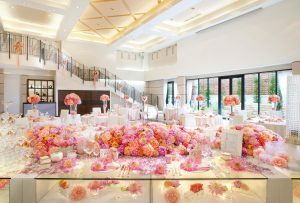 Flower centerpieces are pretty old idea to be used in wedding decoration, however, Damas flowers use centerpieces in a very elegant way which transform an ordinary site into a dazzlingly beautiful scene befitting a fairy tale. 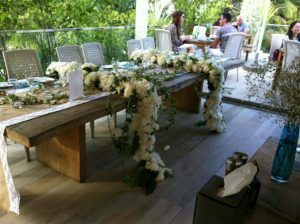 We also proffer potted flowers for a reusable table-center that can be given as gifts. 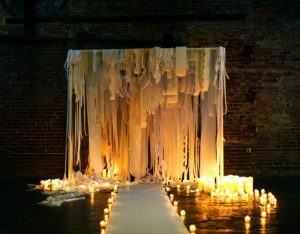 We specialize in creating a tall centerpiece with candles looks beautiful, quirky and eclectic. Pew ends and aisle decoration might look little old-fashioned, but doing it with flowers gives it a modern look and at the same time makes it quite versatile. We even customize wedding theme as per your imagination. 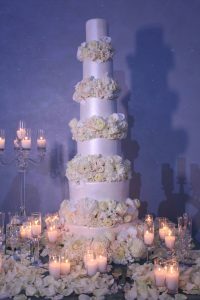 Damas flowers do amazing art-work when it comes to wedding cake decoration. Fresh flowers can be used to decorate cakes, like, a few blooms on top can bring beauty in a simple cake, and moreover, each tier can be decorated for the full effect. Our designers are capable enough to turn your imagination into reality. 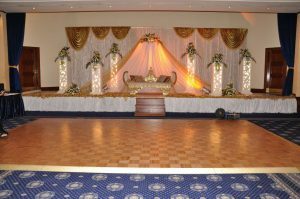 We strongly believe that there is no end of ideas, when it comes to decorating wedding area, for instance, a marquee, is the perfect thing to add appeal in your decoration plan. 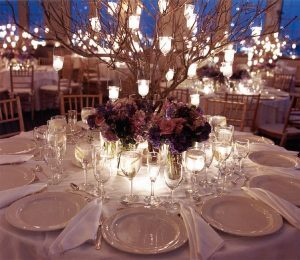 Similarly, we can also provide floral chandelier, a large hanging arrangement from the ceiling or twigs and branches are another innovative way to add the finishing touches to the site. So are you inspired now? Take a look at our other gorgeous flower ideas, visit our Facebook & Instagram pages. Written and posted by Aditi Bhatt. Copyright: damasflowers.com 2016. All rights reserved. Flowers for Family functions & ceremonies! Flowers are most unbelievable and unavoidable element of any culture. They are used as a means of communication to convey messages and hence considered very important in the day to day life of human being. Floral arrangement represent love, bliss, fertility and life. Culturally, different flowers carry different meaning. In some culture, white colour flower represent a sign of death, white rose symbolize innocence and purity, yellow rose denotes victory and a flower with thistles and thorns indicates unhappiness and pain in life. Flowers alleviate anxiety, reduce stress and bring solace at funerals, on the other hand, they bring ecstasy, happiness and harmony in weddings and other joyous occasions. 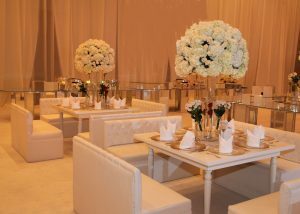 Flowery arrangement helps to stand out your event from all the others, it makes your venue more lush and beautiful. It turns the whole environment soothing and relaxing. In case of funerals, flowers indicates as an everlasting tribute to the loved one lost and works as a perpetual reminder of affection and friendship to support the bereaved through the grieving process. Regional, social and cultural manifestations of flower gifting is another essential aspect in our society which cannot be left unnoticed. Any event worth the name is perfect for flower gifts. If we start counting the occasions on which flowers can be gifted, the counting will never stop. Hence, flowers are considered the most accepted of all the gifts for any event what so ever. Flower Arrangements & Flower Delivery! Flowers are the elixir of life, is an old universal saying. It is a thing of beauty, a joy forever. Visually it is decent, pleasing, elegant, eye inspiring and in many ways the means to acquire health, happiness and prosperity. It was the charm of flowers which enticed both men and women in to the floral and flower arrangements business. The concept of thought to please mankind and thereby to earn money through flower business was indeed an idea invincible and thus this business was the outcome. Some florists having the knowledge of floristry adopted this profession. Some florists having some idea and experience in the floral trade also jumped in this business, but there were also some men who had no knowledge at the all of the floral business also adopted this profession just for the sake of a new business adoption. All these three different characteristics had got one thing common in their minds and that was to earn money. The floral business though appears to be very simple and attractive to look at, truly speaking is not just so. An enormous business exercise is involved therein vis-a-via procurement policy, storage and handing, transportation-logistics, selection, flower alignment and arrangement, flower intermixing, flower decoration, flower shopping arcades identification, flower sales, flower delivery, administration and merchandising coupled with a brain to understand the complexities and vividness so as to correctly utilize one’s sense and sensibility for researching the market trends, traditions and icono-classicisms. In this process chain subtle periodical surveys, personal introspection exercises, buyer-seller interactions to address issues for betterment, door-door enquiry campaigns together with business display at prominent places are done in order to assess and ascertain the actual psychic nerve of the valued customers. Need not to say, flower delivery & flower arrangements business is definitely an art but its execution, management, administration, merchandising techniques, arrangements, delivery mechanism, digital marketing, online methodology, reliable aftersales service, customer ear marking gives this art a new scientific dimension and definition. Despite the harmonious intermingling of “art and science” in the floral industry, the key factor which dominates to date is the CV (curriculum vitae) of the pro-active players managing the floral business. In this context, “Mohannad Nader”- CEO – Owner of Damas Flowers, UAE possessing individual talent, expertise, dedication and drive, an envisaging attitude coupled with the neo-skill transformation abilities for growth, stability and development, clearly separates him from its contemporaries thus making him a character to reckon with in Dubai. Damas Flowers’ online flower delivery business practice, unique flower arrangements, digital flower delivery mechanism and methodology, punctuality to dot service with human compassion has made his image portrayal of an unmatched parallel in Dubaia and across UAE. And hence, Damas flowers is the talk of the town these days. Flowers and feelings have a paramount connection made in heaven, that’s why crafting a right flower piece for our clients is of the most important decisions we make as florists! Roses are known for their longevity and scent, Lilies are colorful and delicate and glorious Daisy is for freshness. This weekend, let your loved ones enjoy the beauty and bloom of flowers at their finest, our flower collection is exquisite, come take a sneak peek. Summer Vacation Around The Corner! Summer vacation is a time happiness and excitement finds its way to you from nowhere. This summer we get you novel designs in a variety of wonderful color and shapes, to help you make the right selection for your special occasion. 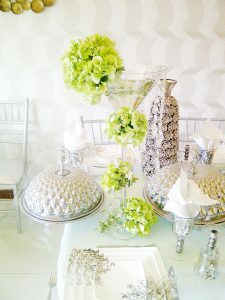 At Damas Flowers, we like to play with colors at the same time keep designs modern and classic. Here are few teasers for our Summer Vacations’ collection, our luxurious wreaths will follow soon. We’d love to hear what you think of them, so visit our Instagram and Facebook pages and let us know. Excited yet? We definitely are!